A team of Makerere University students is working round the clock, to complete the standardisation of locally-made teargas over the next three months. The group led by Samuel Falcao Mugarura has set June 2018 as the deadline for the completion of the product standardisation phase and anticipate to start mass production by end of June. 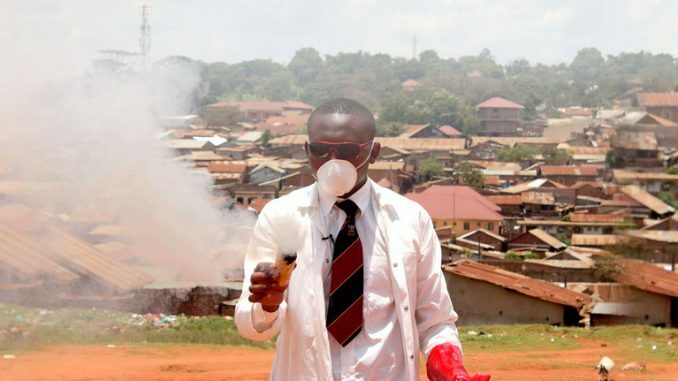 Mugarura thrust himself into the public limelight, garnering media attention in September 2016 when he launched what he termed as locally manufactured teargas. Perceived as an average student academically then, Mugarura whose life was illustrated by “anarchism” – leading strikes – set the entire university into a state of bafflement with his teargas invention. The team received Shs 400 million from the government this financial year to standardise the product sample. Mugarura is now working on the project with fellow chemists Ndugwa Fahad, Barasa Joel and Ssenyange Isaac, a lawyer assisting the team on intellectual property rights. 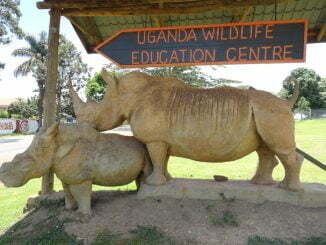 The team is mentored by Prof Anthony Mugisha, a former dean at the School of Veterinary Medicine and Animal Resources. “The government invited us and asked us how best to push this project and we were first advised to first standardise the product. So we are on product development and prototype standardisation phase. After developing and standardising the product, the product will be heading to commercialisation because we wanted to come up with a product that can compete internationally. The government through the innovation minister Hon. Dr Elioda Tumwesigye promised that the government has all it takes to start up the commercialisation process,” said Mugarura. He added that the team has been approached by private investors who want to fund mass production but hastens to add that a decision on whether to team up with government or private investors during the mass production phase the will only be made upon completion of the standardisation process. 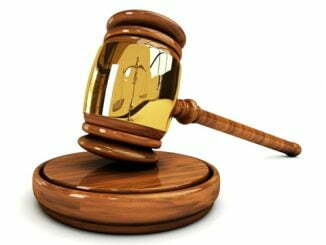 “The standardisation process is expected to end by June that is our expectation. Of course we got a promise from the government that they are willing to come in and push this product to the commercialisation. There are private investors that have approached us who want to invest but of course we can’t deal with two people [government & investors]. I think after standardisation it will be out and open to either the government or the investor. If it is private we have to notify the government. When it comes to mass production we have invested in a lot before the government joined us. We expect to share the returns with government.” he said. Though the team is appreciative of government finances, Mugarura says the money is not enough. He says the team has been purchasing expensive equipment while standardising the sample. Mugarura further says the team has been frustrated by lack of information. For instance, he says police refused to give them data of the tear gas they use annually or the various canisters fired from teargas grenade guns. The procurement process starts with requesting for Public Procurement and Disposal Of Assets Authority (PPDA) and write initials of the items they need. They were given a list of certified companies from where they can procure equipment and chemicals. They then send quotations from at least three companies to the PPDA procurement committee which selects the company for the tender. 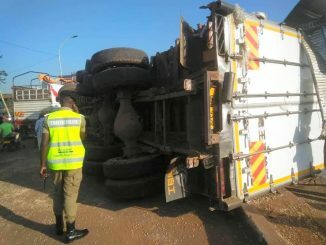 According to Mugarura, the process is slowing them down.